Janelle Monáe wants the world to know that Wondaland Records, the singer-songwriter-producer’s new venture with Sony Music Entertainment’s Epic Records, is not merely a record label—it’s a movement. 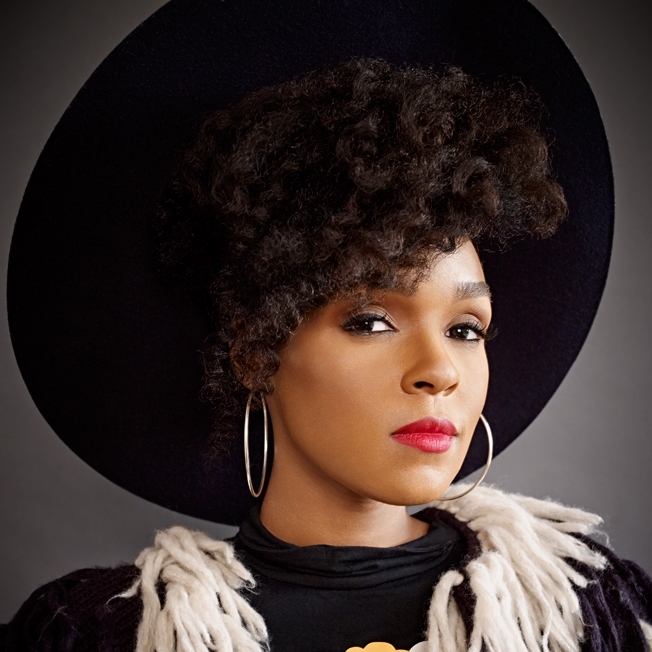 Wondaland is “a joint dream in which a group of artists set out to swim towards a boat all together—and in some ways, I’m a lifeguard,” says Monáe, 29, the Kansas City native who grabbed our attention in 2010 with her critically hailed debut, The ArchAndroid, and who would go on to become a face of Procter & Gamble’s CoverGirl, alongside Katy Perry and Pink. Atlanta-based Wondaland reps an utterly cool lineup of acts, including Jidenna, whose debut single “Classic Man” dropped last month. Monáe: In general, I was inspired to start Wondaland Records after seeing there was a big absence of female entrepreneurs in the music industry who understand how to develop and market innovative artists, artists who truly care about community and redefining the creative waters in the music industry. I’ve always been inspired to do more than just be an artist in the industry and treasured businesswomen such as Julie Greenwald and Sylvia Rhone, and admired artists such as Madonna and what she did with Maverick Records. I want to be recognized for not only my innovation musically, but for innovations on the business end. That said, this specific record label is the result of a joint effort, a joint dream in which a group of artists set out to swim towards a boat all together. And in some ways, I’m a lifeguard, a master facilitator, making sure that everyone has their own water and space to swim in and that nobody is left behind. Wondaland Records is our boat, our beacon—it’s like home. What do you see as the greatest challenges marketing music today, and how are labels and artists working through those? The Internet has changed everything, as we all know. From free downloading to album leaks to streaming to social media, the entire ecosystem and business model of music has undergone massive disruption and change. That said, folks are consuming and sharing and following more music than ever and we just have to find new ways to monetize that experience. We at Wondaland have faith that new business models can be built around streaming, touring, online chatter and commerce etc because people genuinely love and need new music in their lives. So we’re pushing our artists to go back to the basics: say something innovative and universal with a wonderful melody, get your live performance caliber up to the status of your heroes and do it consistently, and you’ll have nothing to worry about. We’re big believers in the 10,000-hour theory. Practice makes perfect. Get your 10,000 hours in onstage and in the studio, and success will follow. In terms of marketing that work, you have to be strategic as well. There’s so much music nowadays! But first, the artist needs to be aware of what she is and what she wants to accomplish, and then you market outward from that unique perspective with a unique voice because that gives the entire viral campaign passion and authenticity. And passion and authenticity works in every format and every era. Janelle, you have developed a terrific artist’s persona. How do you stay true to your style and vision within the commercial landscape? In the very beginning, I used Jim Collins’ book Built to Last to figure out my core values. And then I gave those core values to everyone I worked with: Atlantic Records, CoverGirl, etc., and as I embarked on new creative projects or business partnerships, I weighed my core values and the proposed opportunity and I decided accordingly. Style is important, having fun and being whimsical and free is important, but I’ve always believed I can accomplish anything I want while also inspiring young girls and pushing for change around the world. 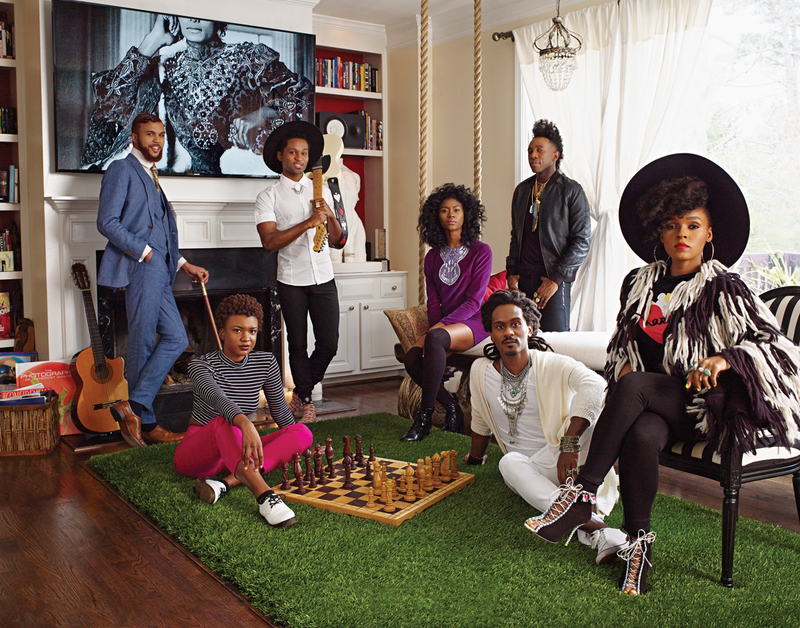 There seems to be a unity of artistry and vision between you and the acts on Wondaland Records. How does that play out in terms of both marketing the music and building your new brand? Wondaland Records is very family-oriented. We are all from the same tribe. While we embrace our individuality, we collectively believe in similar morals and values that focus on creative innovation and global change. Each of them believes that imagination can inspire nations and that music and art can be a force for change. So I’d say we all recognize our collective superpowers and we’ve bonded together to create an Avengers moment, a movement that we hope will lead to a revolution in your head, a new way of thinking and seeing. You see, new jammin’ frequencies bring people together in new ways to make new babies, which are born thinking new thoughts, which makes a new world possible. That’s the only way.